Hello! Hope you're having a great week! 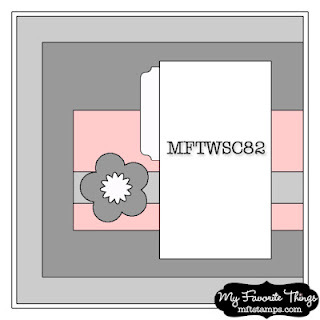 I'm popping in with a card that I made with the latest MFT Wednesday Sketch #82 and a new PI cutie! I inked up Pure Innocence - Picture Perfect. She's part of the latest VIP Collection. If you missed out on her, you'll be able to pick her up during the August release. Isn't she just the sweetest? I see myself using her in a scrapbook layout and/or my Project Life album very soon. Accessories: Die-namics Ticket Tab, Die-namics Mini Royal Roses, Die-namics Royal Leaves (MFT); Markers (Copic), Felt, Pearls (Kaisercraft), Foam tape, Thread, Sewing machine. Oh my...this is darling, Steph! Isn't she the cutest? One of my new fave PI's!! Adorable card Stephanie! 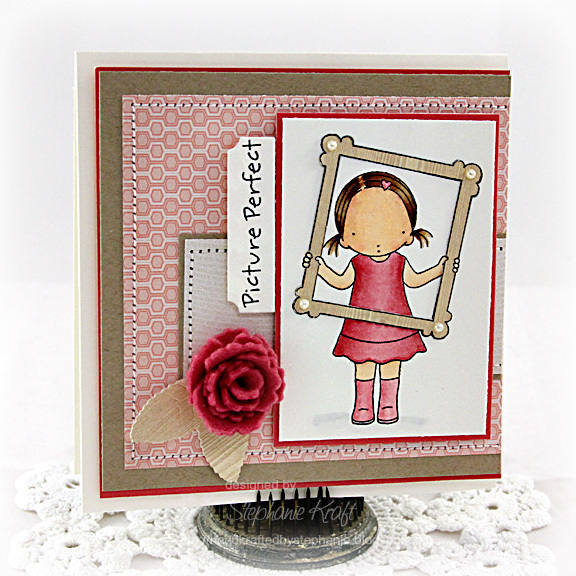 Love the sweet image and the felt rolled rose!